Tenerife not only boasts year round weather it also has one of the most diverse ranges of accommodation available anywhere in the Canaries. Villa rentals in Tenerife are very popular as they allow holiday makers looking for a more private or relaxed experience the chance to escape the bustling hotels on the island and to book privately instead. 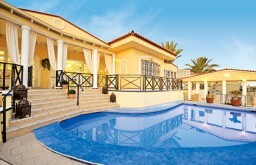 At Tenerifeholidays.co.uk we aim to offer our customers the finest choice of villa’s and self catering accommodation possible, all available for you to book direct for the largest savings possible. Villa rentals in Tenerife are great for families or larger groups and as most of the properties we list have multiple bedrooms and bathrooms and can comfortably accommodate 6 or more people. Prices vary depending on the resort and the style of property you chose but are often no more expensive than booking a hotel.